Great prices and wonderful people that know their product. The fact that I’m willing to drive 600 miles for their seafood should speak for itself. Love it! 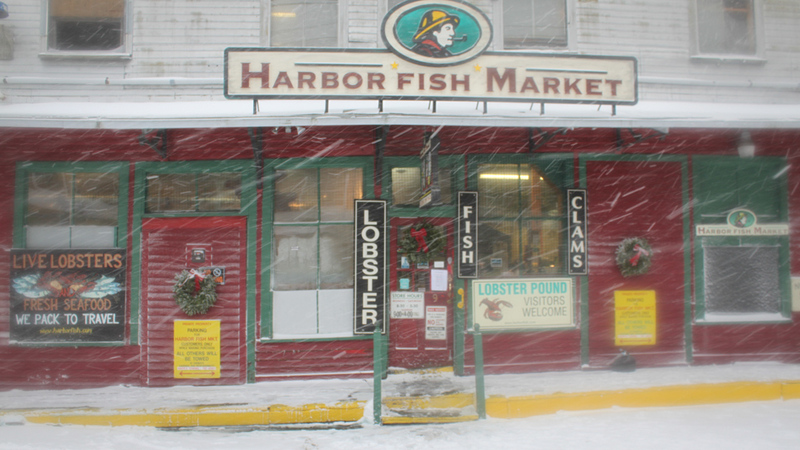 Every year we travel to Maine to ski, we stop at Harbor Fish Market on our way up for fresh seafood while in our condo and on our way home we pack fresh items on ice and bring home to PA. Just a great place! A must do for anyone who travels through Portland. The friendly knowledgeable staff with the freshest fish in town! Fabulous FRESH Seafood and Shellfish and wonderful, helpful staff!! Made many trips to Maine and never left the state without stopping at Harbor Fish!!!! They will even pack your fish to go for your trip home! Going to retire to Portland so I can call Harbor Fish my local fish market!!!! 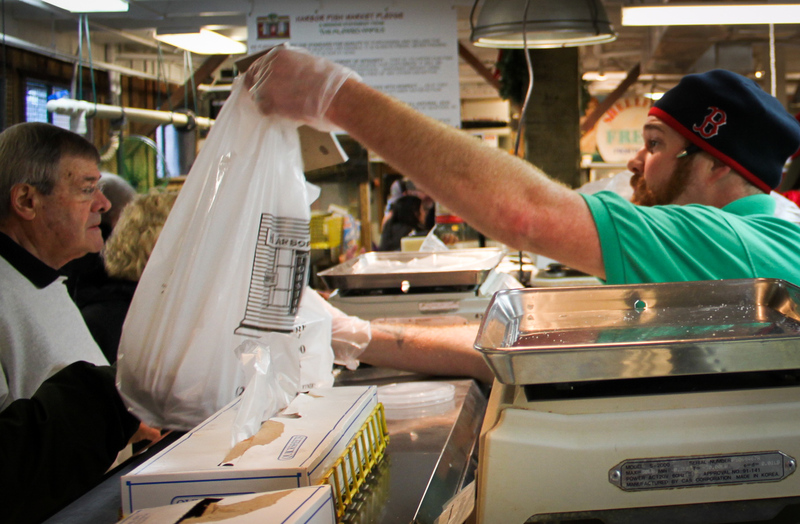 You’ll also find the most knowledgeable staff anywhere, who get a real kick out of helping you plan out your next seafood meal. Just behind them, you’ll see our highly visible processing room, where we’re being picky about what we buy, cut, and sell. 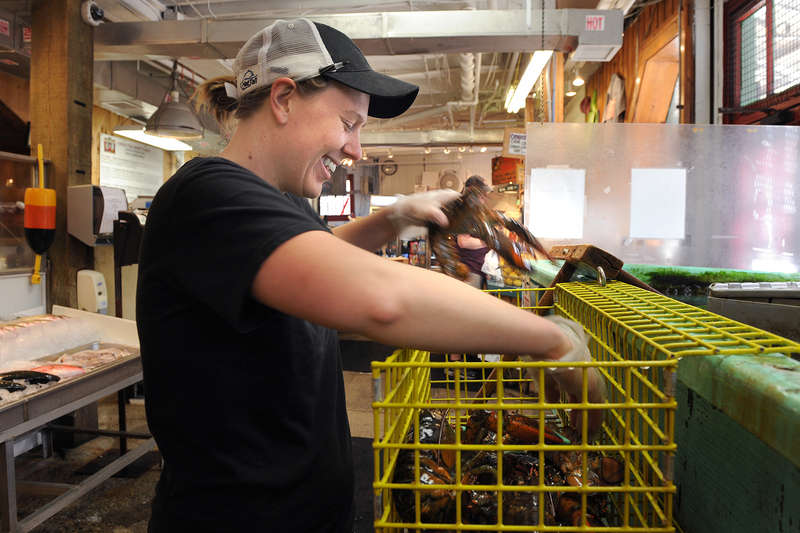 Our lobsters come off the lobster boats right through our back door, and are kept in aerated tanks full of recirculating fresh seawater (none of those supermarket chemical tanks here), and unlike many seafood markets, the air smells only of clean ocean. We invite you to come for a visit and see a true working fish market. We pledge to set the standard for quality by purchasing and selling the highest quality fish and seafood obtainable. It will always be fresh, never frozen, unless we say otherwise. It is our #1 goal. We pledge to operate with the utmost of integrity, to offer our fish with honest representation and to never deceive our customers. Our product will be: chem-free (no preservatives or water-retentives), unsoaked (weight gain), un-gassed (carbon monoxide for color) and free of any other deceptive practices. We pledge to treat our customers and employees with respect, as if they were our own family. We will maintain a 100 percent customer satisfaction guarantee with our well trained and polite staff. We pledge to offer, whenever possible, products that are all natural, eco-friendly and sustainable. We will find and offer a wide selection of seafood, in addition to staying updated on all the latest market trends. We pledge to be respectful of our ocean and all of our natural resources. We sell sturdy insulated boxes so you can travel with your fresh seafood (as checked baggage, or in some cases even as carry-on baggage). Always check with your airline for any regulation changes. We use reusable gel ice packs. We never use dry ice. We will gladly pack your order in your own cooler. We suggest letting us know in advance what your needs might be. We also service Cushing Island via their own boat service & schedule (which is limited). Charges apply. We can deliver to DiMillo’s Yacht Marina for boat stocking. Unfortunately, we don’t deliver to transportation centers or local residences at this time. Of course, you can always have us send you some seafood via FedEx™! Deposit required (cash or credit card. Late cancellation will result in the loss of your deposit). Lobsters can be fully cooked or partially cooked. Last call for hot pick up is 30 minutes prior to close. 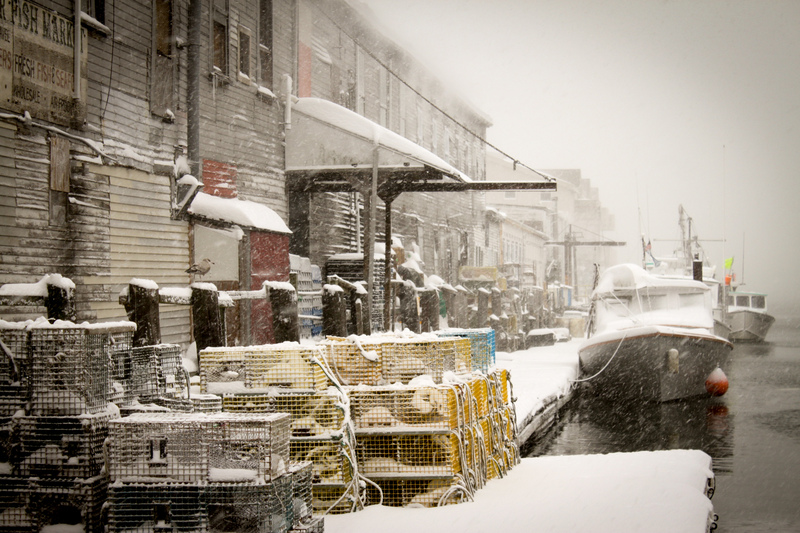 9 Custom House Wharf in Portland, Maine has been the site of a fish market since sometime in the late 1800s. 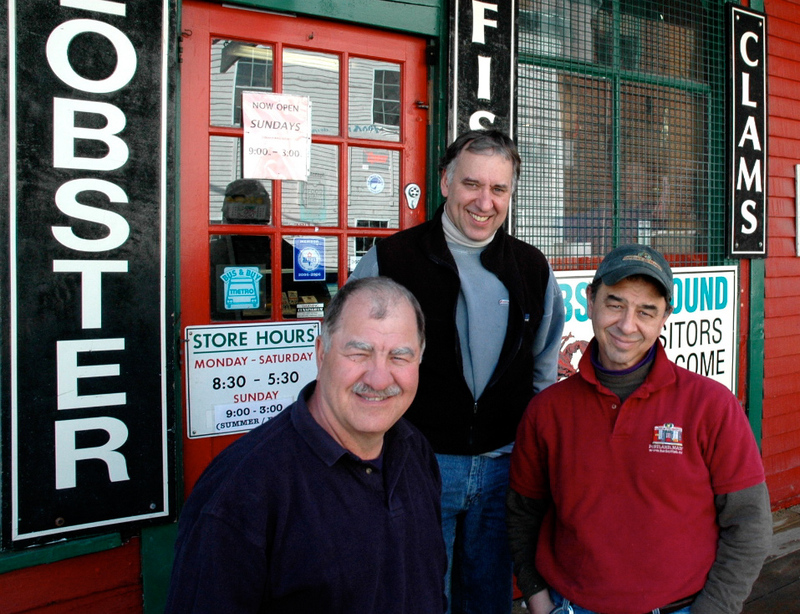 It became the Harbor Fish Market when the Alfiero family purchased it in 1966, a joint venture between Ben Alfiero, Sr. and his older brother John Alfiero. 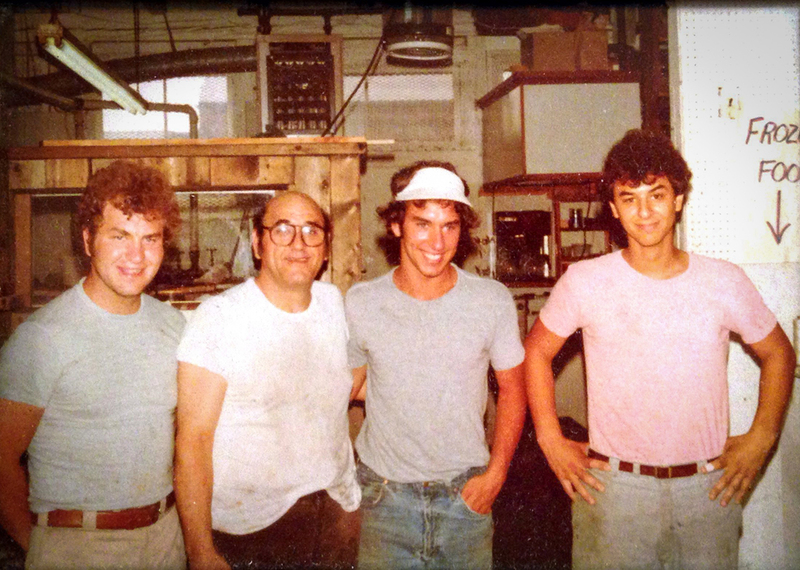 John handed over the reins to Ben in 1975, and through the next few years, Ben’s three sons Nick, Ben, Jr., and Mike joined in. They worked as a team of three brothers and father until Ben Sr. retired in 2000. Once the three brothers were involved, the market started expanding. In the early 1980s, restaurants were becoming more popular destinations as the appreciation of good food spread. Harbor Fish started selling more rare species to restaurants always on the lookout for the dish that could set them apart. 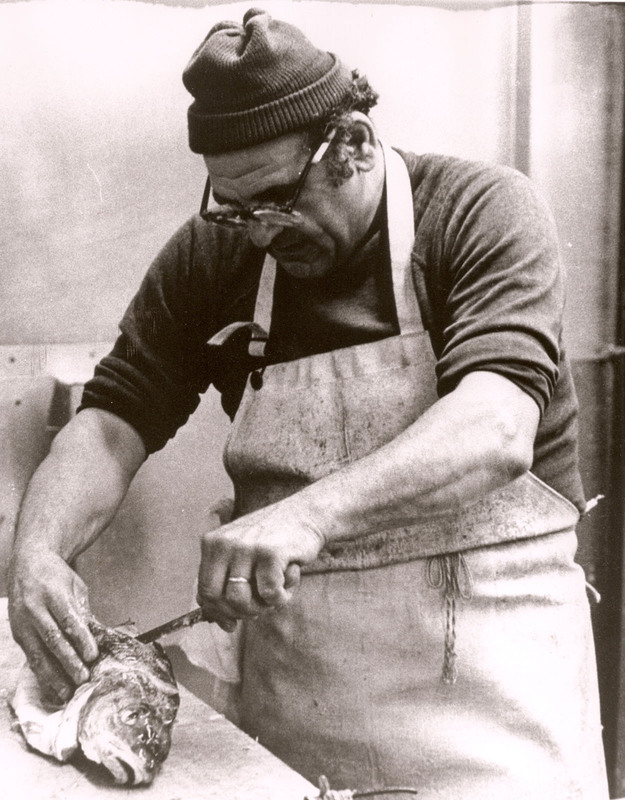 Growing up in an Italian-American family, with Ben’s wife Gloria in the kitchen, the Alfieros had already been exposed to a lot of these exotic species in their youth, so they knew how to entice their local chefs with species like squid, tuna, and monkfish. Their upbringing also inspired them to impart to the public that good food is important to health and well-being, and that’s been the philosophical backbone of the market through the decades. 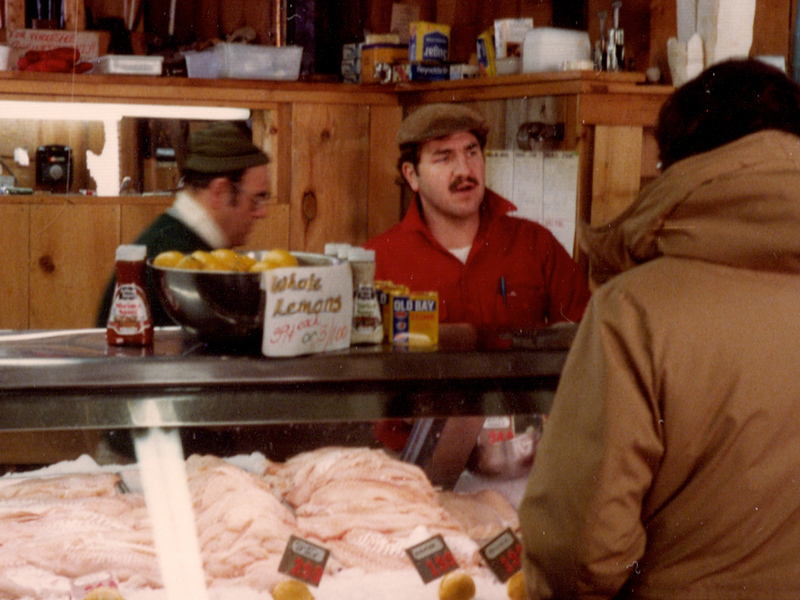 Business thrived through the 80s, as fish was plentiful and relatively inexpensive. The Alfieros moved their processing operation to a larger facility on Commercial St. to add the capacity for larger customers like A&P, Grand Union, ShopRite, and distributors in Philadelphia, Cleveland, New York, San Francisco, and more. They even added a second retail location in North Deering. 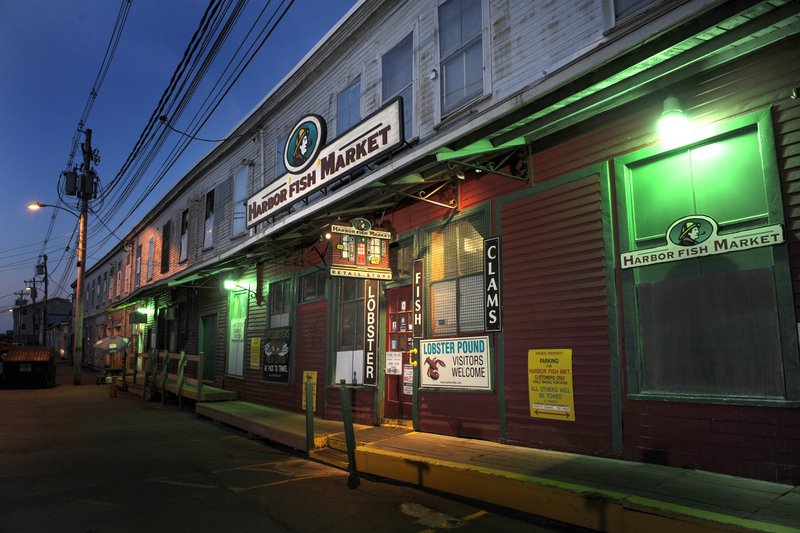 As the effects of conservation efforts grew in the late 1980s, wide cutbacks hit the seafood industry, and Harbor Fish refocused their wholesale operation, continuing to serve a national range of clientele, while compacting the physical processing and distribution back to the original (newly expanded) Custom House Wharf location. After a fire claimed the North Deering retail location, the entire operation—wholesale and retail—remain housed today at 9 Custom House Wharf, run by a family born and raised in Portland, who still won’t sell anything they wouldn’t bring home themselves.